Just this morning, Gilbert just told me that Joker is already dead. I thought he is referring to the comicbook but I was shocked when he told me that it was Heath Ledger who is found dead 3:26 pm, Tuesday in an apartment in Manhattan. Ledger's dead naked body is found by a housekeeper who went to his apartment to inform him of his massage therapy session. The housekeeper immediately called for help. Up to now, it is still not clear if Ledger committed suicide, murdered or just a random freak accident. 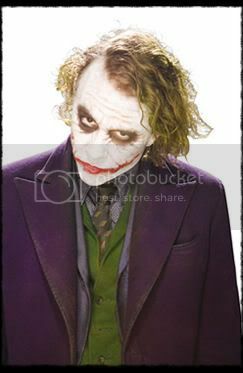 Ledger had finished shooting his upcoming movie The Dark Knight where he will play the role of a psychotic, mass murdering clown of Gotham - The Joker. It is really a sad news.